In the direct aftermath of Hurricane Florence, DRNC began monitoring the status of people with disabilities in emergency shelters housing displaced survivors. Within 47 days, DRNC visited 26 shelters and communicated directly with more than 300 displaced individuals, over 150 shelter staff, and other service providers. DRNC observed significant inconsistencies in the resources available to survivors and found that well trained, attentive staff provide far better outcomes for individuals with disabilities. Many of the dislocations and traumas DRNC observed could be avoided if future disaster plans, responses and recovery efforts are more inclusive and respectful of people with various kinds of disabilities, and ensure their civil rights. “While progress has been made, North Carolina can and must take concrete steps now to protect our most disenfranchised persons from future natural disasters,” said Iris Green, supervising attorney with DRNC. “DRNC took extraordinary efforts to assess the status of people with disabilities in the midst of a major disaster. More resources and attention must be devoted to addressing the needs and rights of people with disabilities in similar situations,” said Marcie Roth, CEO, Partnership for Inclusive Disaster Strategies. DRNC’s report contains specific recommendations for local, state and federal agencies, as well as the American Red Cross, to meet the needs of individuals with disabilities as legally required by the Americans with Disabilities Act. Collaboration with disability advocates in disaster planning regarding accessibility, transportation, access to public resources and more. Improved shelter and staff preparation and training to assist people with disabilities and provide for functional and access needs including mobility, health and mental health. Expanded utilization and placement of Disability Integration Specialists who are critical to adequately support people with disabilities during a disaster response. Substantial investments to prevent people with disabilities from experiencing housing instability, homelessness and increased rates of institutionalization, and address the state’s longstanding failure to invest in accessible, affordable housing. The recommendations must be addressed to meet the needs of people with disabilities before, during and after a disaster. “Being in the shelters is hard on everyone,” shared Terry Helvie, a mother who DRNC assisted as part of the monitoring, “but for me and my family, it was harder. 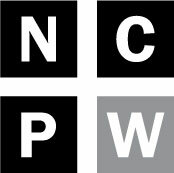 We needed more help then and we still do now.” DRNC is committed to serve in its role as the protection and advocacy agency of North Carolina to ensure that the voices and input of people with disabilities are illuminated as the state moves forward with future disaster planning. For more information on the report The Storm after the Storm, email communications@disabiltyrightsnc.org or call 919-856-2195. 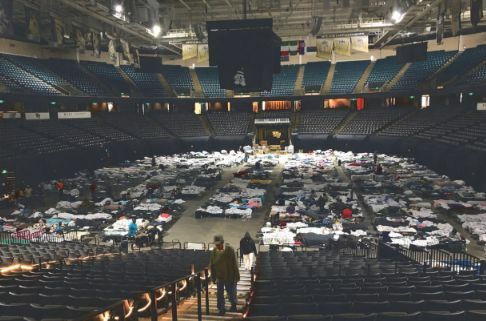 A forum on the Hurricane Florence disaster response and recovery scheduled for Saturday, March 16 in New Bern will focus on community efforts with a specific focus on disability. To register and/or share your experience complete the survey and help us tell your story. Click here to read additional findings and the rest of the report.